The PIAA AAA State Championship trophy is kissed by the players. Behind the star running back, a pack of bundled and blanketed fans went wild. 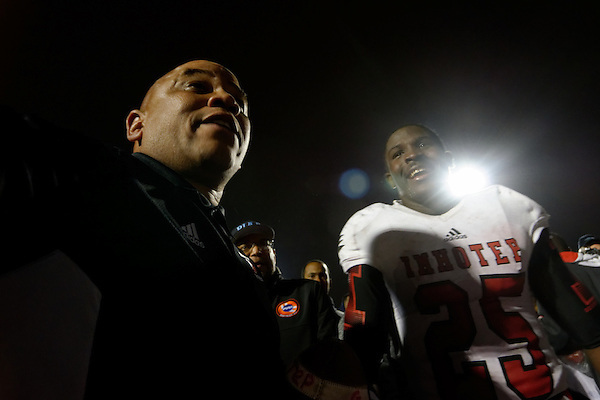 Before him, teammates from Imhotep Institute Charter High School danced and shouted across the field the way teenage boys do after winning a state football title, after making history. 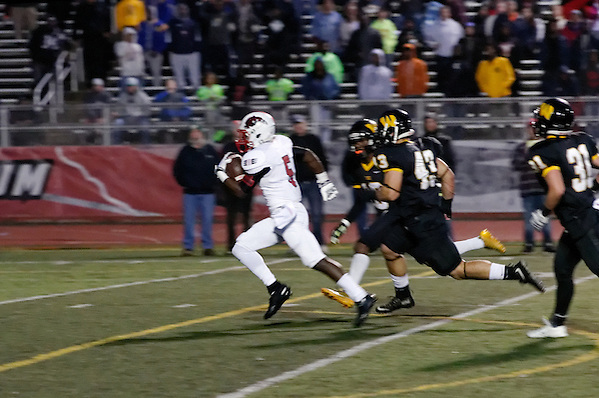 Check full story and gallery on WHYY’s NewsWorks.org and see the post on Facebook: BasSlabbersPhotography for much more Photos of the PIAA D12 Class AAA Quarter Final Imhotep Panthers vs. Archbishop Wood Vikings (20-14).